Celebrity Gossip and Entertainment News: Jennifer Aniston Ends Secret Engagement? Jennifer Aniston Ends Secret Engagement? 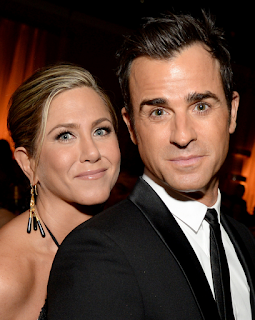 Jennifer Aniston ends long-time engagement with fiancée Justin Theroux. Three years ago, Justin Theroux proposed to Jennifer Aniston with a stunning eight-carat diamond during dinner at NYC’s Blue Hill restaurant. He got what his rep would later call “an extraordinary gift” when the actress accepted. But their long (maybe too long) engagement is starting to hang on its last strings. The couple was last seen three months ago, and even then they looked to be fighting, and according to insiders, they’ve never been at a lower point in their relationship.